The following article is a slightly edited version of a column that appears in the March issue of the Business Monthly serving Howard and Anne Arundel counties. It’s not a rain tax, the legislative aide insisted. It’s a fee to deal with polluted stormwater. This top aide to one of the chief architects of the stormwater runoff fee was arguing with this writer at an Annapolis reception about the term environmentalists despise: rain tax. It was a nickname made popular after the law passed in 2012. What is stormwater but rain that has fallen to the ground? How can it be a fee — like a trash fee, a driver’s license fee or a birth certificate fee — if an individual or company gets no direct service after paying it? Whatever you call it, the rain tax has become a political club in Anne Arundel County that County Executive Laura Neuman is using to bludgeon her opponents. Del. Steve Schuh, her Republican opponent, voted twice to authorize the stormwater fee for 10 jurisdictions on the western shore of the Chesapeake Bay, as mandated by the U.S. Environmental Protection Agency. Schuh is now seeking its repeal, unhappy at how it’s been implemented. But County Councilman Jamie Benoit is also unhappy with how Neuman is using the issue. 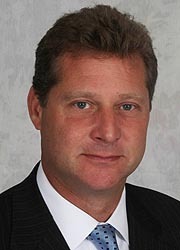 Benoit is one of the three Democrats who voted to appoint Neuman as executive in February 2014, after the resignation of John Leopold following his conviction for misuse of the office. Benoit also voted to impose the rain tax, and he voted to override Neuman’s veto of the bill. Benoit points to Neuman’s answers to a questionnaire he gave to all the county executive candidates who applied for the appointment. Benoit said those answers and follow-up discussion with Neuman led him and the Democrats, who provided the crucial majority for her selection as the Republican to succeed Leopold, to believe she had no problems with the stormwater fee. He only learned of her opposition after the council passed it and she vetoed it. Neuman maintains she’s not attacking Benoit or the council, which was “put in a very difficult position” by the law passed by the General Assembly and the EPA mandate that required it. “Jamie Benoit is playing politics to support his endorsement of my opponent,” Democrat George Johnson, Neuman said. “Jamie knows that I came back to him” to discuss her problems with the bill — but she admits that only happened after she had vetoed it. “I went to each of the councilmen” and asked them “how can we work together on this? Neuman was virtually unknown in Annapolis political circles until her appointment by the Anne Arundel County Council on Feb. 21, 2013, and she had never made any public comments on the rain tax, for or against. Benoit is not letting Schuh off the hook, either. Schuh was one of the 16 people who had applied for the county executive job. The council was developing the legislation before the huge public uproar that followed the passage of the new tax. Schuh has been attempting to repeal the statewide law, which he voted for, and to exempt Anne Arundel County from its provisions. Statewide repeal failed this week in one committee, due to the unified opposition of all the environmental groups and other progressive organizations, like the League of Women Voters. Schuh’s attempt to exempt Anne Arundel County failed in a tie vote in the Anne Arundel County House delegation, which he chairs. The vote failed because two Republican delegates, Cathy Vitale and Tony McConkey, showed up late. The bill was not expected to pass the full House of Delegates, or even the Anne Arundel County Senate Delegation, where Democrats have a majority. A bi-partisan group called “Fix the Debt” has been set up to urge members of Congress to “compromise” and come up with “a grand bargain” that will avoid driving over the “fiscal cliff” of massive tax hikes and budget cuts scheduled for Jan. 1. The goal is “comprehensive and long-term solution to the debt problem,” said Michael Enright, former chief of staff of Democratic Gov. Martin O’Malley. “The math involved in this is inescapable” and “it will involve pain and sacrifice for all of us.” “Everyone’s going to have to give a little bit,” said Chip DiPaula, former chief of staff for Republican Gov. Bob Ehrlich.